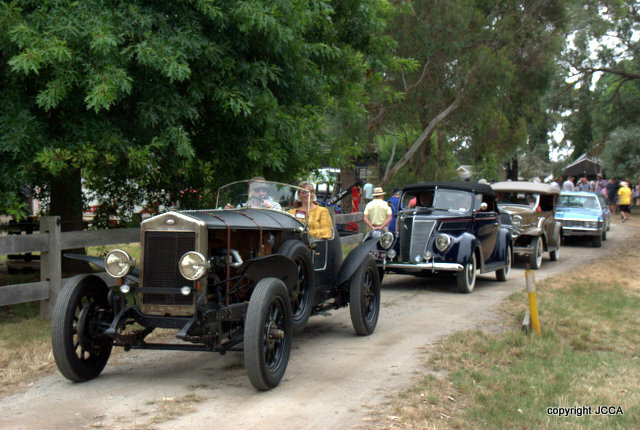 It was great to welcome back to the car show calendar the ABCCC Great Australian Rally. The new venue was Cruden Farm. The home of the late Dame Elizabeth Murdoch, it was a wedding present from Keith Murdoch to his 19 year bride. The gardens where designed by the famous landscape designer Edna Walling. Cruden farm proved to be a magnificent setting for a car show. The cars started from four locations, the Eastlink head office in Ringwood, 597 St Kilda Road, Stud Park Rowville and the Western Port Marina in Hastings. 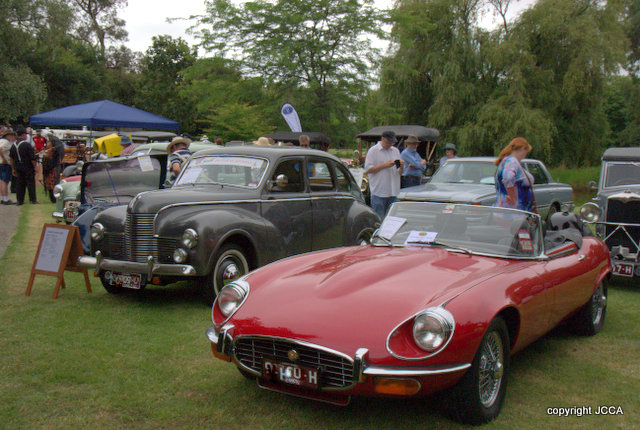 Over 1000 classic cars lined up for display in the grounds, 40 vehicles were chosen for a display of significant vehicles from the first car to modern times. 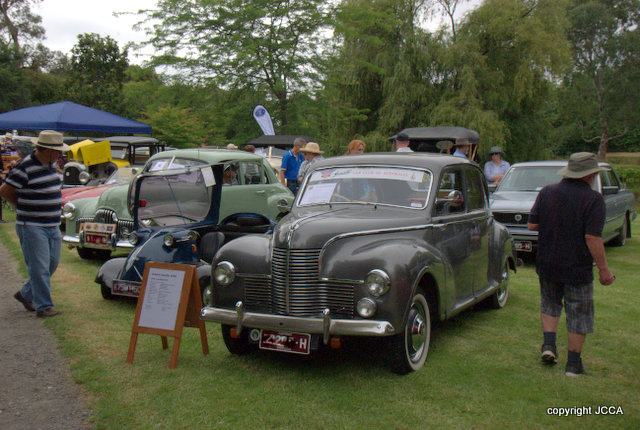 So a 1950 Jowett Javelin joined amongst others a 1885 Benz, a 1925 Fiat 501C Tourer and a FX Holden. 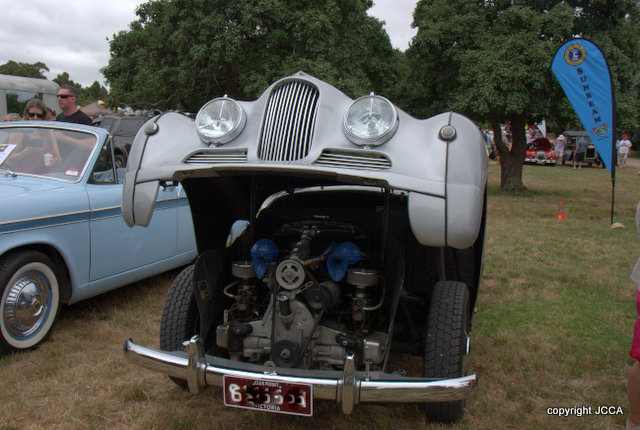 Phil’s 1950 Jowett was sandwiched between an E-Type Jaguar and a 1958 Messerschmitt KR 200. Out in the general area Neil’s Jowett Jupiter, recently purchased from Queensland, was parked in with the Singer Car Club vehicles. 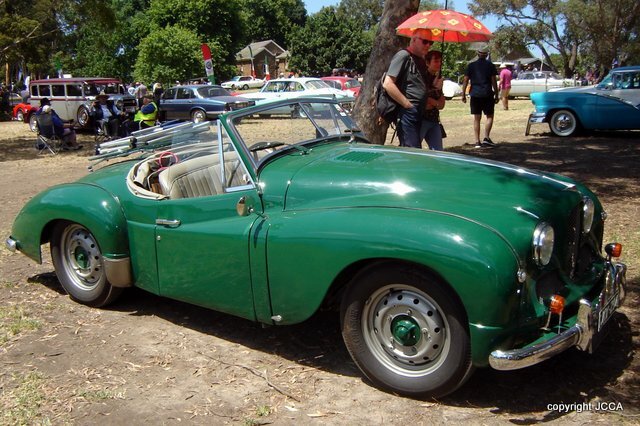 Mike’s Jowett Jupiter was parked by the beautiful ornamental lake. All proceeds went to the Peter MacCallum Cancer Foudation.